​Barcelona boss Ernesto Valverde has insisted that Ivan Rakitic remains an integral part of his team as he stressed the Blaugrana are not interested in simply boosting their finances amid interest in the Croatian star from Paris Saint-Germain. 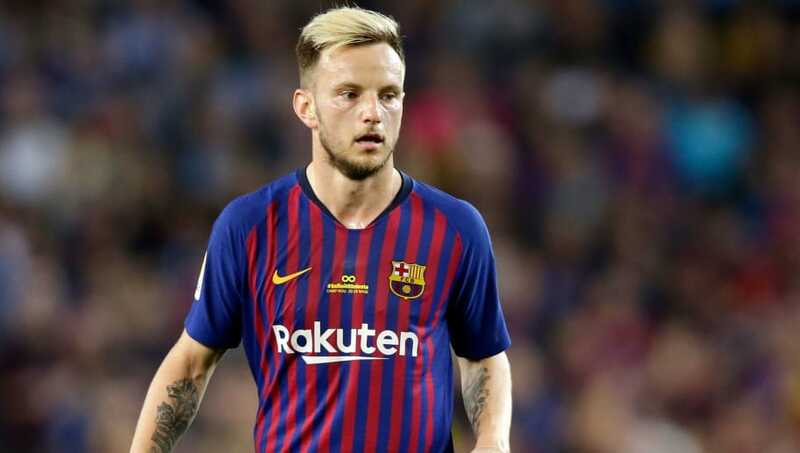 Rakitic, 30, has emerged as a transfer target for the French outfit in recent weeks after reports emerged that an ​offer of ​up to €90m was being prepared in a bid to prise the midfielder away from Camp Nou - despite his release clause standing at €125m. While his age would suggest his value will only depreciate over the coming years, Valverde has remained steadfast in his stance that the 30-year-old is 'fundamental' to his plans at ​Barcelona. "He is a fundamental player for us and I am counting on him due to what he does for us, the importance he had for the team last season was clear," he said, via ​Marca. "I hope that he stays here. I want to have the best players here and he is one of the best. He knows how we play, he is integrated into the team and the club. "We are not here to make money from a player, we aim to win and make the trophy room bigger," he added. Valverde's remarks come ahead of Barcelona's second league game of the season against Real Valladolid, where Rakitic is expected to take his place in the starting lineup. Rakitić is both overrated and underrated by our fanbase, me included. Furthermore, a report from ​Sport has claimed the Blaugrana are 'convinced' that the midfielder will stay at the club after holding discussions with the 30-year-old over the past few days which stressed their ability to win trophies - despite being unable to match the salary offered by PSG. The transfer window has left than a week to run and if PSG are serious about securing Rakitic, they will need to activate his release clause as Barcelona appear unwilling to sanction a move.